Is invisible always invincible? 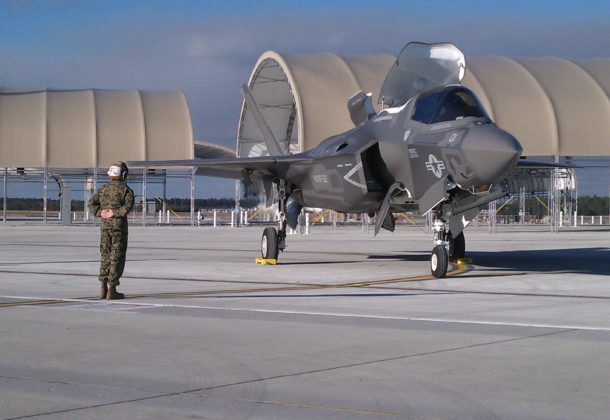 As the F-35 debuts at air shows outside the United States, Aviation Week re-examines the fundamentals of stealth and whether it provides an advantage over the latest adversary radars. Defence Talk quotes a report by Svobodnaya Pressa that Russia’s powerful over-the-horizon Podsolnukh (Sunflower) radar is capable of detecting and tracking the F-35 Lightning II or any other fighter jet that was designed to avoid detection. Northrop Grumman Corp. is working to convince the Pentagon that it’s solved long-standing manufacturing flaws that resulted in defective wings for the Navy’s new Triton reconnaissance drone, as the service prepares to ask defense officials to approve the aircraft’s production, Bloomberg News reports. The flaws — and Defense Department requests for plans to fix them dating back to 2013 — haven’t been previously disclosed. Bloomberg says questions about Northrop’s quality control abilities might attract special attention because the Air Force has picked Northrup Grumman to build its new B-21 bomber, a largely classified aircraft that could cost $80 billion. Inside Defense reports that the Pentagon is seeking congressional permission to shift $2.6 billion between budget accounts as part of an annual reallocation of funds the US military has in hand, launching five new-start projects, including a new machine-gun round for the F-35 Joint Strike Fighter, adding new capabilities to the Tomahawk cruise missile, and an Army study for a new heavy equipment transporter. The US Navy finished testing of a technology designed to make aircraft carrier landings safer, more efficient, and easier for both pilot and aircraft, during the last week of June, Aviation Week reports. Through software changes to the aircraft’s integrated controls, “Magic Carpet” (as the technology is known) in F/A-18E/F Super Hornets and EA-18G Growlers alters the jets’ angle of attack for the proper glidepath through relatively small and quick wing adjustments. Defense Department CIO Terry Halvorsen has signed a third version of department-wide guidance for managing IT services, FCW reports. The new edition of the DOD Enterprise Service Management Framework puts more emphasis on IT risk and performance management. Download the latest version here. Cyberspace is likely to be declared a domain of warfare at NATO’s Warsaw Summit on July 8 and 9. One key issue for the alliance’s credibility is to raise the level of cyber resilience in all member states to a new level, says a Breaking Defense analysis. At the moment the landscape of preparedness is quite uneven between member states. Capability targets must be introduced into NATO´s defense planning processes and thus increase the trust levels between member states, particularly in the context of hybrid warfare. The Obama administration’s unprecedented release last week of statistics on counterterrorism strikes underscored how much more complicated the results of the drone program have been, says a New York Times analysis. It showed that even inside the government, there is no certainty about whom it has killed. And it highlighted the skepticism with which official American claims on targeted killing are viewed by human rights groups and independent experts, including those who believe the strikes have eliminated some very dangerous people. A US Air Force MQ-9 Reaper drone crashed in northern Syria, according to an Air Force announcement Tuesday reported by Defense Tech. The Air Force said the cause is not yet known but that the drone was not brought down by enemy fire, nor were there any reports of civilian injuries or property damage at the crash site. Coalition aircraft were able to destroy the downed drone, the Air Force said. Off-key? Military bands and other musical groups are again in the sights of congressional budget-cutters concerned that the Pentagon’s $437 million music budget is too costly in light of other needs, Time reports. Nevertheless, the musicians are still shopping for fine instruments, including procurement of a must-have 1787 cello for the Air Force band, Time says. Booz Allen Hamilton Inc., McLean, VA, is being awarded $16,286,777 for modification P00016 to a previously awarded cost-plus-fixed-fee contract (N00421-15-C-0027) to exercise an option for an estimated 137,035 hours of services in support of the Naval Air Warfare Center Aircraft Division’s Special Communications Mission Solutions Division. Services to be provided include engineering, research, design, development, integration, installation, test and evaluation, fielding, analysis, maintenance, material procurements, training, and logistics services for communications-electronics advanced technology systems. Work will be performed in Lexington Park, MD (98 percent); Bethesda, MD (1 percent); and Richmond, VA (1 percent), and is expected to be completed in March 2017. Fiscal 2016 operations and maintenance funds (Marine Corps) in the amount of $750,000 are being obligated at time of award, all of which will expire at the end of the current fiscal year. 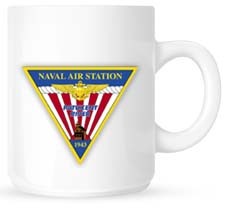 The Naval Air Warfare Center Aircraft Division, Patuxent River, MD, is the contracting activity.